For quite a while now, they’ve been flying vintage aircraft into a nearby airshow and making rides available to the general public. For just as long, I’ve been meaning to go on one but haven’t gotten off my duff to do it — until last weekend! What follows is the tale of my finally driving the twenty-five minutes over to Teterboro Airport and getting on the Yankee Lady, an honest-to-goodness B-17 Bomber from World War II. The first thing you do is break the pieces out of the runner system and then glue them together. I was about six when I built my first model—which was an aircraft carrier—and one of the first things I learned (the hard way) is that too much glue is far worse than not enough. For a memory that’s over fifty years old, I can still almost see the special cement oozing from the seam between two parts of the assembly when pressed together. My father would try to wipe the excess away, but it was nearly impossible because the chemicals in the glue partially dissolved the plastic, which discolored and distorted it. Model with paint, on a display mount — not mine! 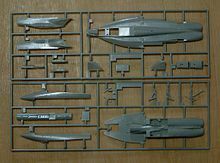 Each kit usually had some special components, either clear plastic that was used for windows, or in the case of automobiles, red plastic that was used for taillights. These pieces were especially ruined by over application of glue, because it would fog up their transparency. Special paints were offered in little glass bottles with metal screw caps, which you had to apply with fine point brushes. I was content to just put the pieces together, but I always applied the decals that came with the models. They were printed on clear plastic and mounted on wax paper that you dunked in water until you could slide them off and onto the model. Getting these things into position was not the easiest thing in the world. Another thing I remember was the smell of the special glue, and warnings that it was never to be used in an unventilated area. I wasn’t told this then, but it was to keep me from getting high on the fumes. It’s astonishing to me that airplane glue still contains dangerous chemicals that merit very serious package warnings. Just about anybody of any age can go into the store and purchase these products. I would’ve thought that in all this time safer replacements would have been found, but apparently not. As we’ve moved to a virtual world, fewer and fewer young kids are building models—which is too bad. There is something about holding the physical pieces and assembling them that no virtual reality—no matter how sophisticated—can replace. The business is still alive, primarily driven by adult enthusiasts who are making some pretty sophisticated models. Building one sounds like it might be kind of fun. 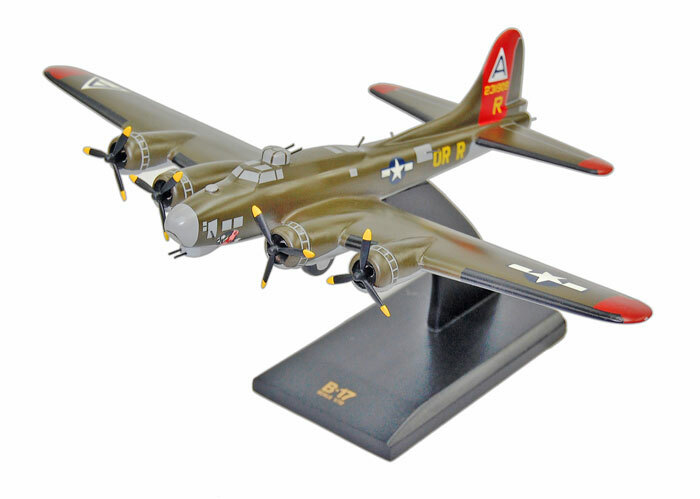 This entry was posted in Uncategorized and tagged airplane glue, Airshows, B-17, B-17 Bomber, Model Airplanes, Teterboro Airport on June 22, 2014 by Joe Nolan.